If I had a penny for every email I've received from readers wanting a glimpse of the actual Space NK Autumn Edit Gift Bag, I would have lots and lots of pennies! Truth be told, I was as excited as all of you, and every single time I heard a truck in front of my house I would run to the door in eager anticipation. The bag itself is a wonderful and generously sized see-through zipper bag that is perfect for travel, and it is absolutely stuffed with an amazing array of products. On Saturday, September 12th, Space NK will host the “Autumn Beauty Edit” event across all of our 23 US locations. During this special, one-day-only shopping event, customers will be perfectly prepped for the new season as we present the latest in fall trends and looks from our “Timeless Beauty” FW15 campaign. Guests can meet with experts from some of our finest brands for makeovers, advice and tips. Event times, featured experts and services vary by location. Exclusively for the event, and while supplies last, shoppers who spend $250 or more will receive a gift with a selection of must-haves from 33 of our featured brands (deluxe, travel and full-size items). As this is our most popular event of the year, shoppers are encouraged to reserve their space in advance to avoid disappointment. This gift with purchase will sell out in stores early, but will also be available to online shoppers at spacenk.com on September 12th(US only; while supplies last). 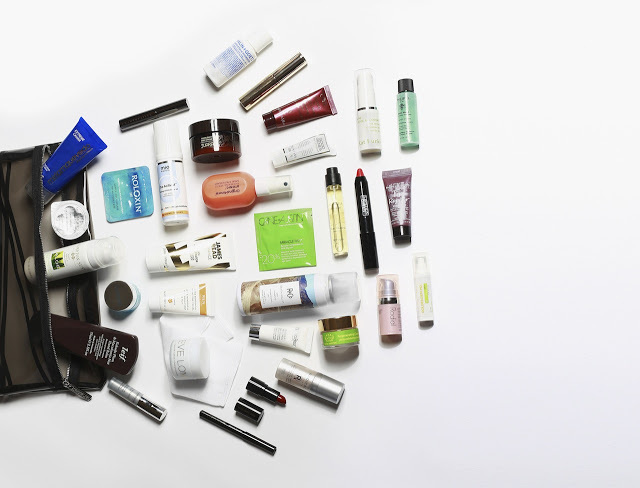 Here are the featured brands at Space NK! Mark you calendars because this event only lasts one day! The closed bag 8" H x 11" W x 3" D (filled). It is stuffed with so many goodies that you will be thrilled! SHOP ONLINE on Saturday, September 12. If you want to pre-order from a store, then contact Sheri or her staff at Space NK in Sherman Oaks (818) 325-2483 and they can send you all of your goodies! Tell them that I sent you. Which Diptyque Perfume did you get? I'm loving the clear bag everything comes in. Hi A! I received Eau Duelle. 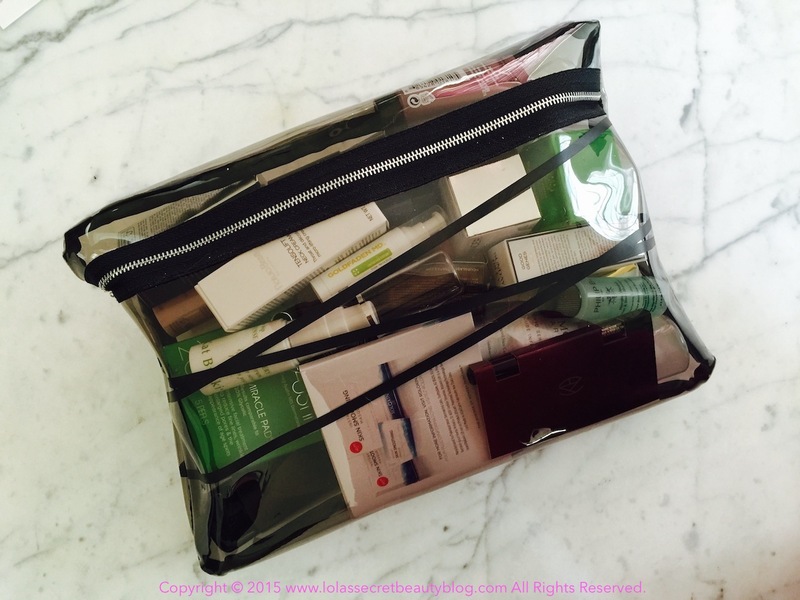 I agree with you completely– I am really loving the clear bag as well! It's really great! YAY! I'm asking everyone which perfume they got. I really hope i don't get L'Ombre D'eau. Some reason I can't stand it even though I love the Baies candle. I will be stalking bright and early on Saturday. Makes having to work so much better! Funny thing is I remember stalking the last autumn beauty edit as well. haha. Beauty Addicts unite! Then let's hope that you get another scent instead! A lot of people seem to be getting Eau Duelle! My list consists of Sunday Riley Juno Oil and Bionic Cream. Plus Oribe Texturizing spray. Nice and short. But expensive lol. Interesting! What a nice list! Thank you for this and the contact information! I don't live in a state with a Space NK store, and the items I want are always sold out online. I hope that if I call the Sherman Oaks location, I can get my hands on those items, especially during this promotion! You are very welcome, m582! Sheri texted me and said to have all of you who are interested in the pre-sale to call ASAP because they always sell out so fast, and are often sold out before the actual day of the event. When you call them, just say that sent you, and you can even ask for Sheri. They will take very good care of you. However, if Sheri isn't there, or is busy place your order with whomever answers the phone so that you don't miss out. Her staff is fantastic! I placed a phone order with one of Sheri's staff, Melissa, and she was very helpful. I'm really looking forward to this gift bag! I do the Barney's one every time, but this is my first Space NK event. Thanks for all the details you provide; I always keep an eye out. I purchased the Algenist overnight restorative cream, which is one of my favorites, the Malin + Goetz vitamin B5 hand cream and lip balm, REN Moroccan Rose Otto scrub, and three things that I've wanted to try for so long: slant tweezers by Rubis, Kevyn Aucoin lash curlers, and the Nudestix moisture stick. I am really looking forward to getting my order for all these, and the free bag! Hi m582! What an extraordinary selection you made! I can hardly wait to hear what you think of everything when you receive it! Keep me posted! I am so excited for you! I received both my Barneys and Space NK orders on the same day, and it was like I had gone to heaven! I am sending the duplicates from the two gift bags to my sister, and I bet she'll enjoy them. I am loving my purchases; the Kevyn Aucoin lash curler is different from my Shiseido one, but gives a really pretty curl that lasts a long time. I had a small order mix up with Space NK, and Sherri was fantastic with her customer support. Thanks for referring your readers to this store and its amazing staff! Is it a sheer mesh bag? Is it TSA travel sized (1 qt)? No, it's actually a plastic see-through bag with a zipper. I went through the press release that Space NK sent, and it never mentions the specifics of the size or whether it's actually TSA compliant. I measured it, and provided the dimensions in the post above, but that's all that I know. Oh, I missed the dimensions above. I think 11" is probably a bit over a quart. That's okay; I'd rather a bigger bag be needed in order to fit all the goodies. That was my thinking as well! Truly the Gift Bag of All-Time! I have never been to a Space N.K. Apothecary. It opened in NYC after I moved away, and I never think to go there during my infrequent visits to New York. Clearly I should. I could get buy on the contents of that gift bag for months! 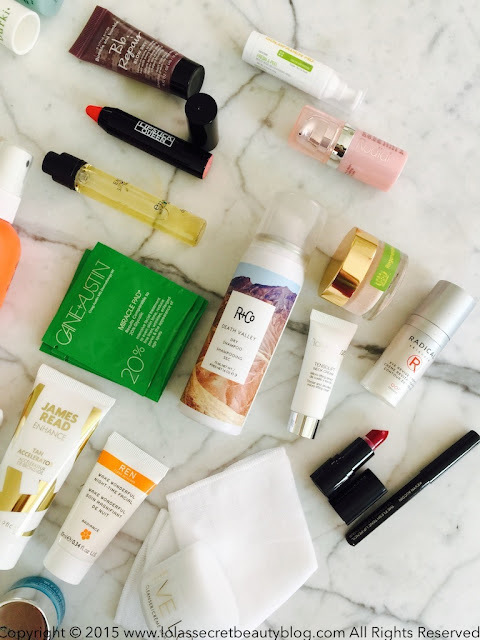 Space NK definitely knows how to put together one seriously amazing gift bag! It's definitely a store worth going to! That said, their customer service online, and over the phone from the physical stores is extraordinary! I agree, the contents of this bag would last for months on end! Oh my god. This looks like heaven. I want! It truly is a heavenly GWP! 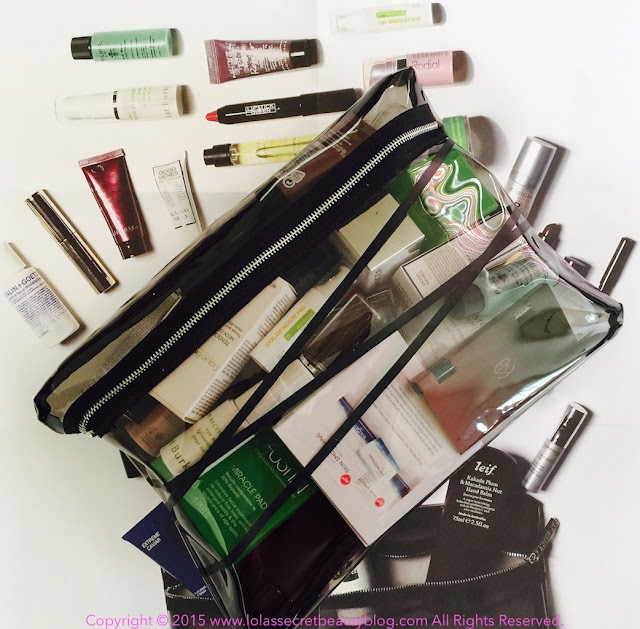 I have never heard of Space NK, but this bag looks like it has a ton of great samples! Hi Kristina, Space NK is a luxury niche retailer from the UK with a good number of stores in the US. There are free-standing stores, and then several inside select Bloomingdale's locations. It's a truly amazing company with a very carefully edited, or curated collection of the finest products! This sounds like such an amazing event. Sad I won't be able to make the one in my neck of the woods. It is a great event, but people also shop it online and also call the stores to order. It's definitely worth going to at least one of these events, though! They are lots of fun! If that's the full size Eve Lom cloth, that's worth ~$20 alone! It looks like the full size to me, but when purchased separately it's $22.00 for a three-pack, and this is a single. OMG, it isn't just me that feels this way!!!!!!!! I can't tell you how many times that I have accidentally hit "Sign Out" instead of "Publish" and losing an entire is nothing short of annoying! I wish that there was something that I could do to change it in this comment system, but there is no other option available. What I actually started to do, when I know that I will be making a longer comment, is actually type my comment into another document (either email or WORD) and then copy and paste it into the comment field! This is also very useful if you have comments that disappear into the ether, or a computer glitch. LOL, I can't believe *you* do this also! I know, right?! It usually happens when I am super tired after a long day at work, but it does happen! I do think we would have a fun time together IRL! Isn't it amazing?! They always have such impressive gift bags! Wow, talk about a gift bag! There are so many goodies in this, I'm impressed! No too shabby!!! 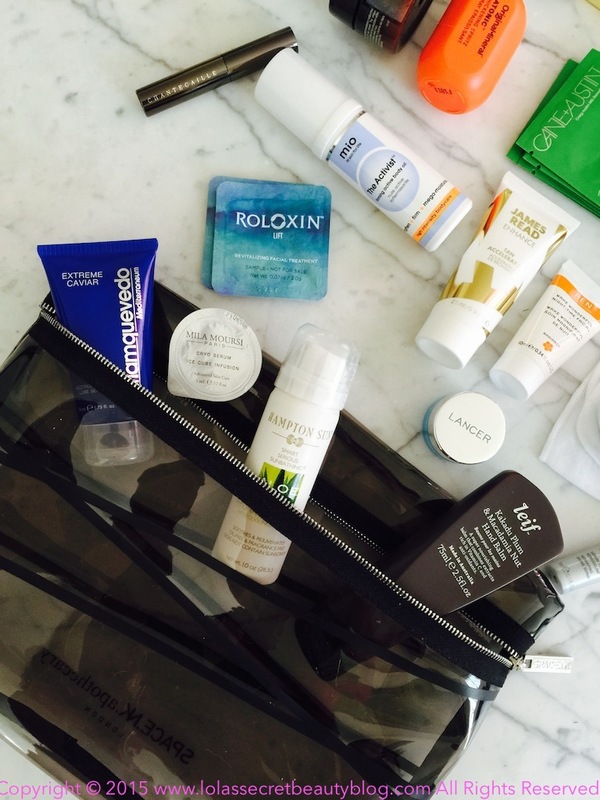 Space NK gift bags are always insanely good! As usual a bag that makes your heart sing! What a huge assortment of goodies. I completely agree! Space NK never disappoints! Such an amazing goodie bag! The fun of trying it all out! It really is an amazing bag, and it's really a delight to play with all of the goodies! Crazy, isn't it?! It's definitely swoon-worthy! That's an awesome bag with an amazing assortment of goodies! It really is! Space NK REALLY Knows how to do an amazing gift bag! I completely agree with you, Jamie! I have a Space NK by me here in NJ but that day I am working at fashion show in NY. I will keep them in mind though, I love that store. I love Space NK too! You can always order it first thing in the morning online, or you can do a presell through a physical store so that a bag is saved for you. If you don't have someone that you work with, then I can give you the contact information to the store that I work with in LA and they can send you anything that you want! I absolutely love them! Wow - there is absolutely tons of stuff in that gift bag. Great selection. Isn't it amazing, Honey?! Space NK never disappoints! Thank you for these fabulous pictures. I am so appreciative of your wonderful coverage of these events (though my wallet probably doesn't thank you, haha!). Would you happen to have an email address for anyone at the Sherman Oaks store? With the time difference I seem to be playing phone tag with them. I was hoping to get my list in and then could call early this week with payment info. If not I will just try them again Tuesday after work. I was telling you on one of your other threads I presaled lots of the Fall Chanel for the Barneys event with Irene, but needed an alternate item because they were sold out of the blush. I ended up getting a Cle de Peau lip Luminizer so I get the step up gift from that department as well. :) I'm tempted to place a second order for some Tatcha items as well since that step up gift looks really nice. 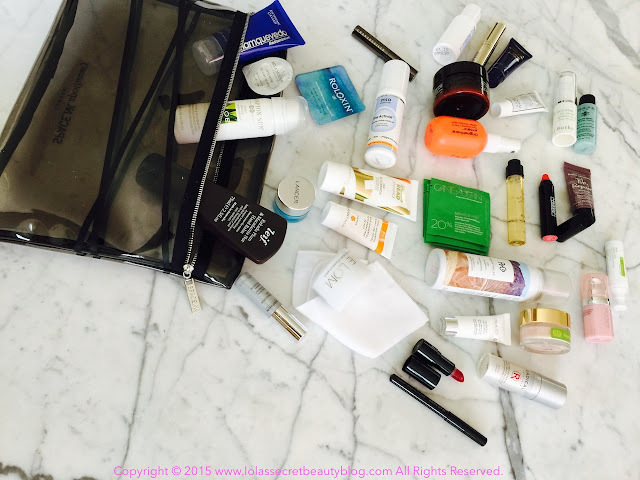 After all of this, I better not even look at beauty products until Holiday collection time, lol! You are so very welcome! I am so glad that you love my coverage of these events, and that you find them so useful and helpful! I just texted her, and she apologized that you have been playing phone tag. Just send her an email and she will take good care of you. She's a good friend of mine and will take great care of you since you are one of my readers! You are very welcome, Rosemary! She will take good care of you! I can't wait to hear what you end up getting! You are so very welcome, Rosemary! I told you Sheri would take great care of you! She is a total sweetheart. I am so glad that she's also sending you your NDulge birthday gift! I totally forgot about mine this year, LOL! I can't wait to hear what you think about all of your purchases! Please keep me posted! Enjoy the rest of your Labor Day holiday weekend! That bag is INSANE! SO MANY goodies! It really is, Brooke! Space NK really knows how to make absolutely unbelievable gifts with purchase! 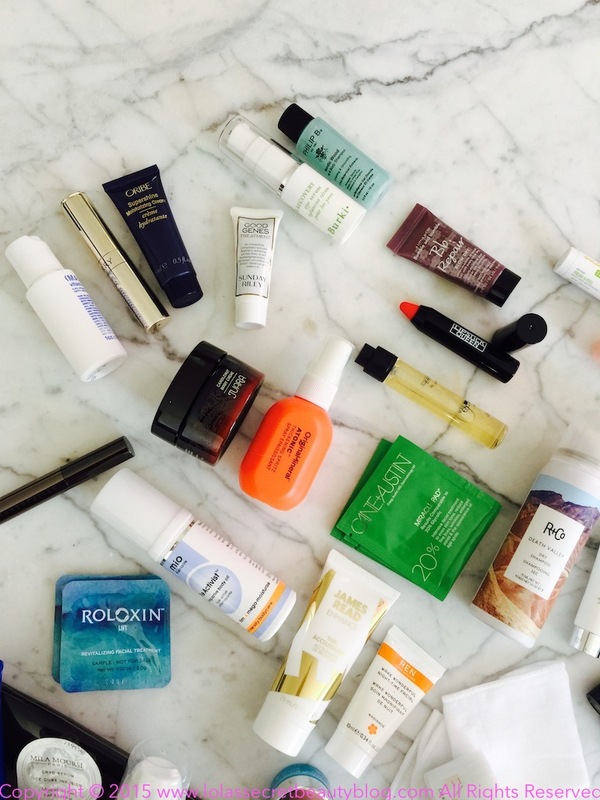 I've never shopped at Space NK before but seeing your blog post makes me want to. Do you know if you can purchase a gift card and still be eligible for the gift bag? Some of the stuff I want to get is sold out online so I thought the gift card might be a nice alternative until they get the products back in that I am wanting to get. Thanks! 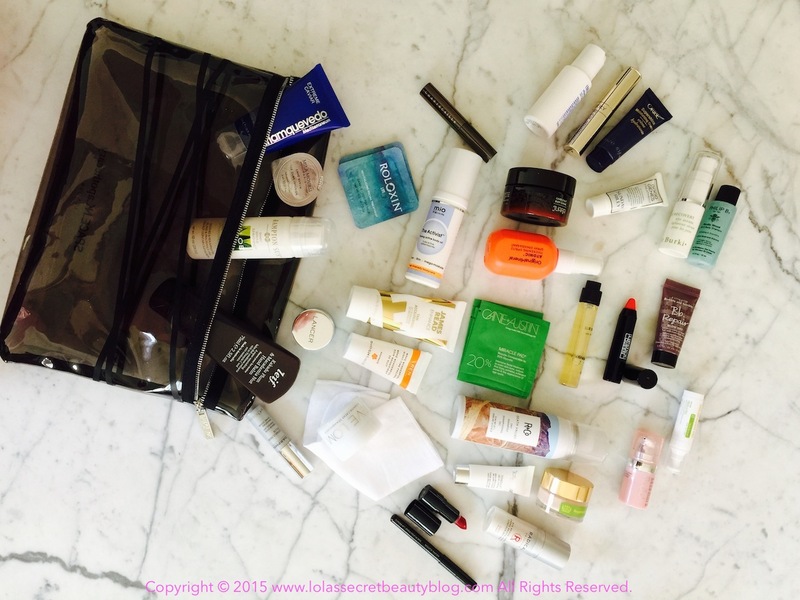 Space NK is amazing, and their gifts are over-the-top fantastic! I emailed my contacts at Space NK and asked them this question for you, and they said that, "Unfortunately, the purchase of a gift card does not count towards a gift bag. If a favorite item is out of stock online, it might still be available to order by phone with a store who can then ship the purchase and gift bag to a shopper's home."